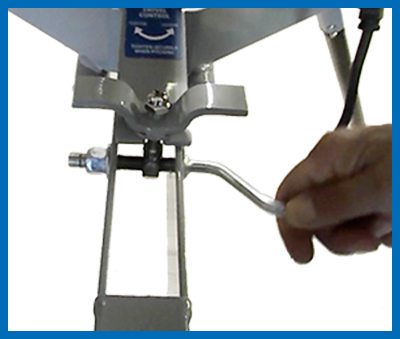 No assembly is required; the Junior Hack Attack arrives fully assembled and ready for your immediate use. 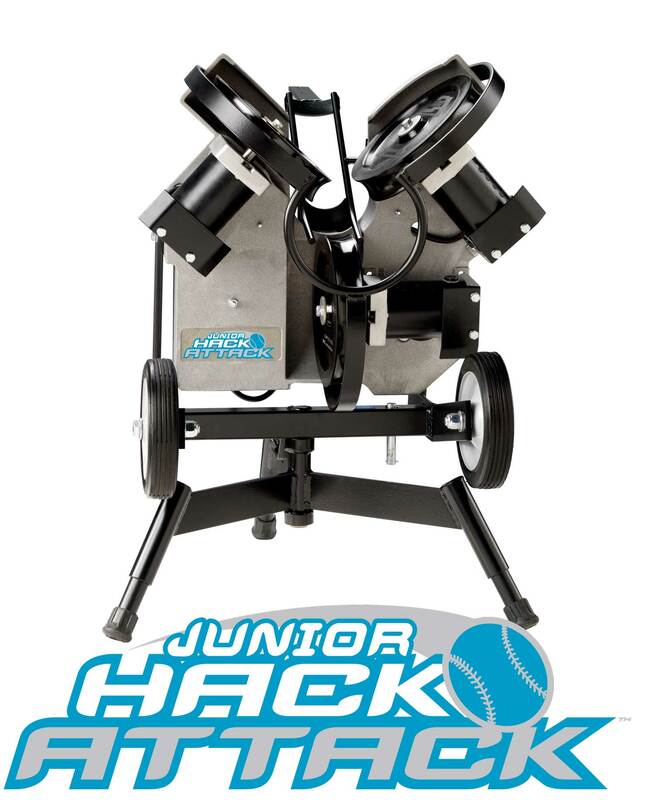 The Junior Hack Attack softball pitching machine is heavy enough to absorb recoil, ensuring accuracy, yet portable and easily moved by one person. 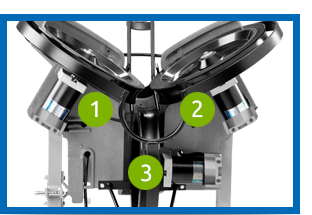 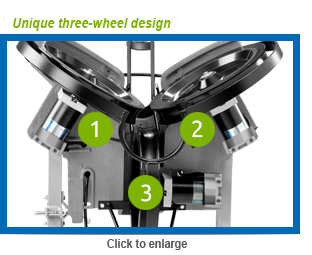 Three powerful variable speed motors drive three indestructible concave 13″ throwing wheels.